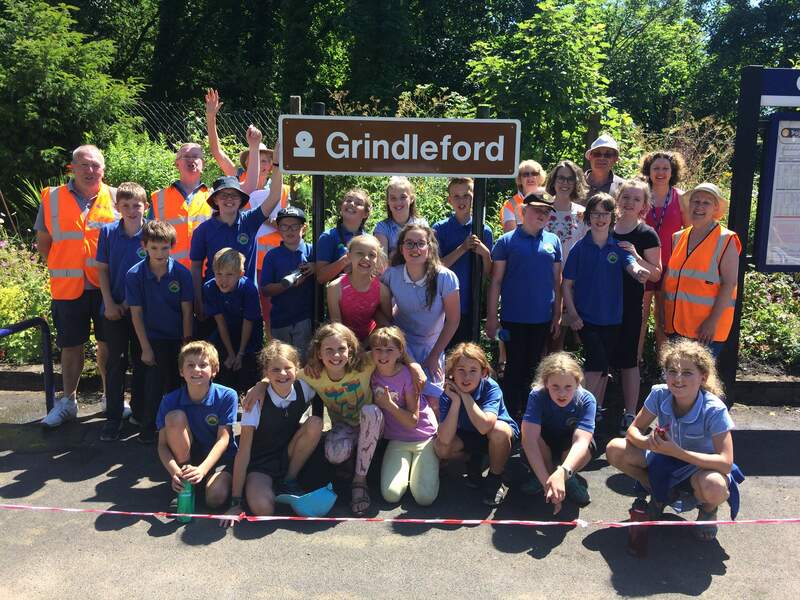 On 2 July, Grindleford school children came to plant the cosmos, geranium, stonecrop, marigolds and sweet peas at the station. They needed lots of watering to help them adapt! Many children are seasoned rail users, but they now have a rail itinerary direct from Grindleford to Moscow should England get to the finals of the World Cup this month. (Tip: it’s via Strasburg.) They showed impressive knowledge of plants and of stations along the Hope Valley line. Great to have so many youthful ‘friends’.